Cyberlink Power2go 8 will streamline the disc-burning process. You can also use the program's optional encryption functionality to protect your personal files. You get one year of unlimited ASUS web storage capacity. Nero BackItUp is a reliable online backup solution for all of your Android devices. Some find the drive a tad too loud. 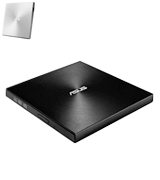 The ASUS ZenDrive SDRW-08U7M-U is a pretty solid CD/DVD drive, there's no doubt about it. 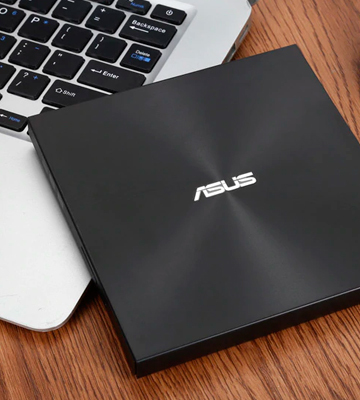 But what makes this ASUS product one of the best options on the market right now is all of the additional software, online data storage solutions, and accessories that come with it. The device features M-DISC support, a burning technology that engraves recorded data into a patented rock-like layer, making the disc resistant to extreme conditions. Allegedly, it keeps your data intact for more than a thousand years. The Jamless Play technology automatically skips past damaged parts of your disc, maintaining smooth playback. The slide-out drawer is a bit fragile. 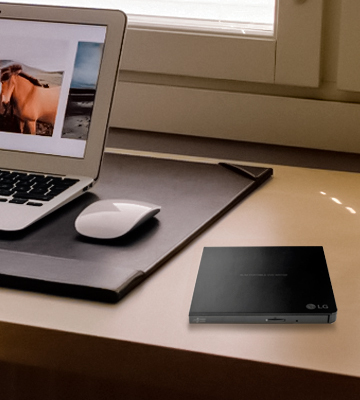 The LG GP57EB40 is a great optical drive for people who lead an active lifestyle. You can take this thing with you anywhere you go. The slim profile will allow you to easily fit it into an already full backpack. With it, you will be able to enjoy your favourite recorded content anyplace you want. The drive comes with a USB Type-C adapter. This adapter makes the model compatible with an array of different modern devices, so you should have no trouble connecting the drive to any of your gadgets. The device doesn't fail to deliver in terms of skid resistance and noise reduction. It doesn't require drivers. The housing is easily soiled. If you happen to be an Apple enthusiast or just a person with a MacBook and a desire to put your old CD and DVD discs to good use, you can't go wrong with this one. And if you don't really care for Apple, you still get excellent speeds and solid performance, so you can just as well give this drive a shot. The smooth contoured shape allows you to fit this thing comfortably into the sleeve of just about any laptop bag or backpack. The device doesn't require much in terms of power. The anti-shock and noise reduction technologies make it a convenient and practical tool for your multimedia needs on the go. The model doesn't feature any kind of shockproof qualities. The iAmotus SL-131 is what you get when you don't want something in particular from your disc drive. For a very modest price, you'll be able to acquire a perfectly capable and convenient device, making this product a pretty safe investment. Plus, it works just as fine with Linux as it does with Windows and MacOS. An anti-skid pad will keep the device in place and improve heat dissipation, so you won't have to worry about it overheating after a few hours of continuous use. A nice little compartment on the bottom of the drive can be used to store the USB cable, making the drive a bit more ergonomically sound. 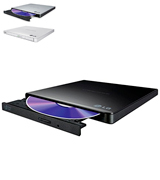 The CD/DVD drive from Ancees has an interesting design from an aesthetics' point of view and a practical construction that makes it easier to use and transport. You can use to install software, revisit your old CD collection, back up data, or burn your precious memories into a CD or DVD format. CD and DVD are outdated formats. But that doesn't necessarily mean that the drives that support these formats have to be just as outdated. 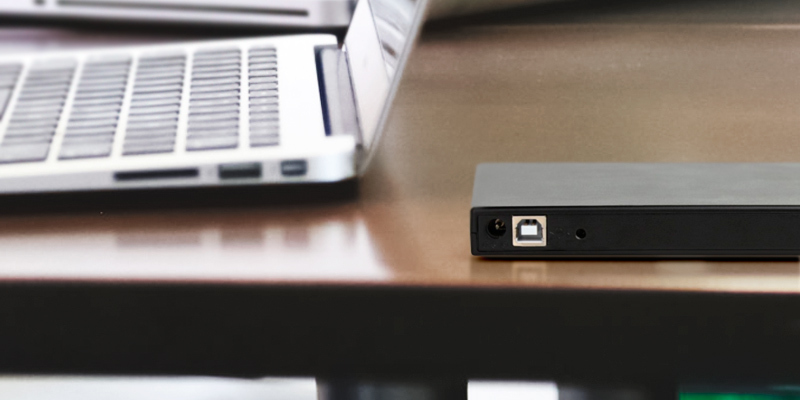 In fact, they can be pretty damn sleek and sophisticated, and you don't have to look further than the Asus ZenDrive SDRW-08U7M-U for a good example of that. On the surface, there isn't that much that differentiates this model from any other similar option. Most of the specs are pretty much the same, it supports the same interfaces, and, just like every other drive in this review, the device doesn't work with Blu-ray. But if you look a bit closer and dig a little deeper, you can certainly see why so many people go for this particular model. But, to go back to that surface for just a moment, we didn't necessarily mean it in a literal sense of the word. Because, appearance-wise, this is one hell of a product. The company's very own Zen-inspired design incorporates that concentric-circle hairline finish, a finish that adds sort of sophisticated aesthetics that will make any seemingly unremarkable computer look ace. Add to that the ultra-slim 13-mm profile and you have yourself a DVD writer that oozes coolness. What we like about this product isn't just the drive itself but also what the company supplies with it. In addition to the disc drive, you will get a program called Cyberlink Power2go 8. This intuitive and capable piece of software will help you by simplifying the whole disc-burning process. You can also use the program's optional encryption functionality to protect your personal files. Again, the glory days of CD and DVD formats are long gone. Which is why the people at ASUS were smart enough to include one year of unlimited ASUS web storage capacity. It will give you free cloud storage for as many sizable files as you want, so make sure to put it to good use. Furthermore, you'll get Nero BackItUp for Android, a reliable online backup solution for all of your Android devices. The drive incorporates Disc Encryption II, a technology that provides double security on-the-go. The usual Drag and Burn feature is also there, so it will take you no more than 3 steps to create a disc. Finally, on top of the drive and the software, you will receive two M-DISC 4.7GB DVDs. And, as you would imagine, that means that the model in question supports M-Disc, a burning technology that supposedly protects and stores your data for a thousand years. All things considered, the ASUS ZenDrive SDRW-08U7M-U is a pretty great CD/DVD drive, there's no doubt about it. But what makes this ASUS product one of the best options on the market right now is all of the additional software, online data storage solutions, and accessories that come with it. As you can infer from the title, "ultra", "portable", and "slim" are the words that people behind LG GP57EB40 use to advertise their product. And we can't really think of a more accurate short description of this drive. But we're not about short descriptions here, so let's elaborate on the subject, shall we? The "portable" and "slim" titles are of course the easiest ones to decipher. The device weighs not a gram above 200, making it the most lightweight drive on our list and easily one of the most lightweight options on the market today. The overall dimensions of this product play a similar role here. You get precisely 141 millimetres in width and 136.5 millimetres in depth (or length, depends on how you look at it). Add to that the ridiculously small 14 millimetres that the device features in height and it is easy to figure out why the company decided to make the model's slim and compact profile such a focal point of the product's advertisement. Now, to seal the aesthetics deal, all they had to do is add a stylish black tone and a glossy finish for that high-tech look that we all like. Naturally, it gives you all you'd need for watching DVDs and writing discs on-the-go. But it is always nice when your highly portable drive has an equally impressive appearance to boot, so you can take this thing to your school and it won't take anything away from your image nor will it make your workspace look outdated. Specs-wise, there really isn't much to talk about here. You get the usual 24x reading and writing speeds for CDs and 8x for DVD discs. Just like any half-decent external DVD drive out there, it works with just about every version of Windows and MacOS. But if there's one thing we can say about this model that we can't say about the majority of its competition, it is the M-DISC support. As some of you may know, M-DISC is a burning technology that engraves recorded data into a patented rock-like layer, making the disc particularly resistant to the most extreme conditions. Allegedly, it keeps your data intact for more than a thousand years, so there isn't a better option out there to save your lifetime memories and archive important data. The device in question reads and writes discs at the same speed but it doesn't do it the same way. LG's very own Silent Play technology automatically controls the reading speed of the disc. This way, the technology provides the most optimal vibration and noise reduction. It doesn't just increase the service life of the drive but also comes in handy in those environments where noise is already an issue, like planes and trains. Finally, the Jamless Play technology automatically skips past damaged parts of your disc, maintaining the sort of smooth playback that will allow you to enjoy your favourite multimedia content without any hiccups and interruptions. 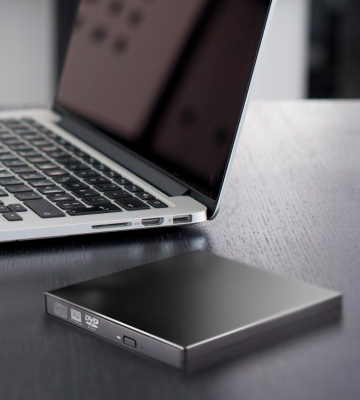 In short, the LG GP57EB40 is a great optical drive for people who lead an active lifestyle. You can take this thing with you anywhere you go. The slim profile will allow you to easily fit it into an already full backpack. With it, you will be able to enjoy your favourite recorded content anyplace you want. We were all relying on CD and DVD formats to store information and multimedia content back in the days. But you can't stop the flow of time. These technologies have become obsolete almost in the blink of an eye. But there are ways to keep up with it and the Patuoxun PPC013S-UKAE2 is a pretty good example of that. There are a few things that make this device a fitting option for this kind of role. One isn't necessarily part of the drive itself but more of a complementary accessory. 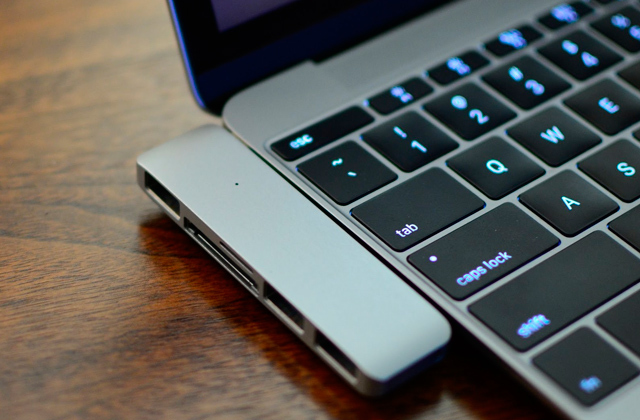 The latest iterations of MacBook Air, MacBook Pro, as well as a variety of different Apple products come without a USB port. Which is why we like the thoughtful addition of the USB Type-C adapter to the overall package. This adapter makes the model compatible with an array of different modern devices, so you should have no trouble connecting the drive to any of your gadgets. Another thing that makes this product a slightly better overall option than most of its competition is a cable with the USB 3.0 interface. 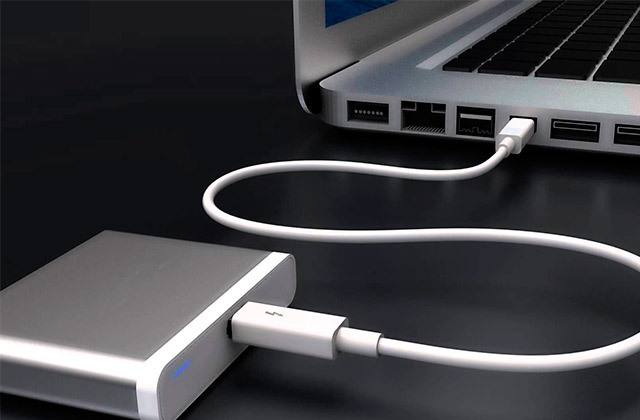 As most people are aware at this point, USB 3.0 features 10 times the speed of its predecessor (up to 5 gigabytes per second), so you'll be able to transfer data at a much faster rate. On top of that, the latest version of USB is considerably more stable than its 2.0 counterpart, making for a much more reliable overall data exchange solution. As far as the visual aspect is concerned, we have sort of mixed feelings. On one hand, the drive definitely looks good. The light colour palette with a silver-white finish meshes really well with Apple products and it doesn't look half-bad on its own. But, of course, the light tone also makes the device easily soiled, so you'll be able to see every scratch and every mark. That said, the smooth surface makes the drive pleasant to the touch and a real pleasure to work with, so we don't really have much of an issue with the model's design. When it comes to performance, there really isn't much to complain about. The reading and writing speed it features are as good as the next option. 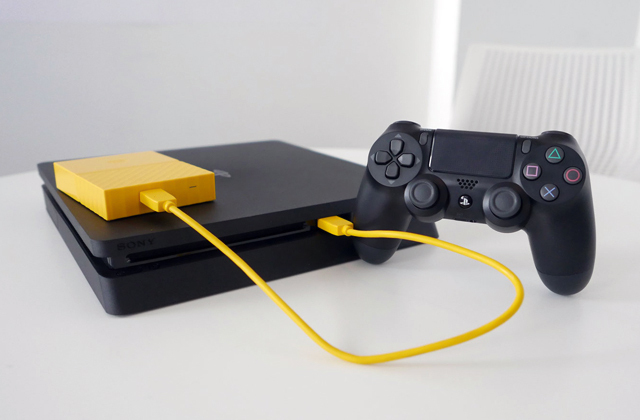 You won't need an external power or any drivers, just plug the cable in and you're ready to roll. The model's error-correction abilities are excellent, one thing that is often neglected for no good reason. It doesn't fail to deliver in terms of skid resistance and noise reduction, making for a pretty practical drive all things considered. All in all, the target audience here is fairly obvious. If you happen to be an Apple enthusiast or just a person with a MacBook and a desire to put your old CD and DVD discs to good use, you can't go wrong with this one. And if you don't really care for Apple, you still get excellent speed and solid performance, so you can just as well give this drive a shot. Generally speaking, external CD/DVD drives don't differ that much from each other, so you really gotta look for the small details and pay attention to little things to find the real winner. Or, you can always settle for the model that is more of a middle-ground solution, the type of well-balanced product that doesn't really excel nor trail behind in any particular category. That said, we aren't quite sure exactly where the iAmotus SL-131 lands on that spectrum. You could certainly make the "well-balanced" case. The device is made of high-quality ABS plastic, which is really important for an external drive as it will help it survive the rough and tumble of the road. The so-called "fashionable" design, as the people behind this product have put it, doesn't really bring anything new to the table. But it doesn't look half-bad either. The polished black frame has a nice appearance to it. 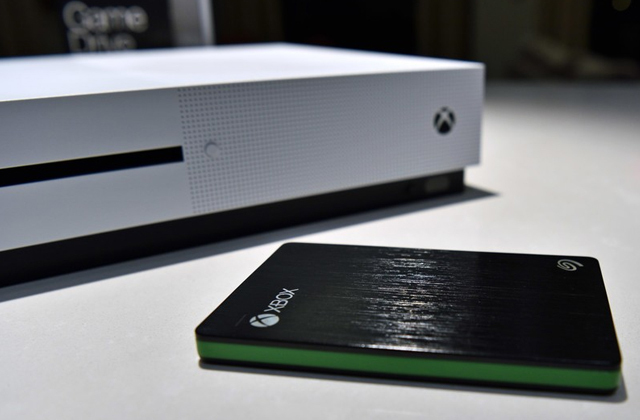 The whole thing adds up to precisely 135 x 135 x 16.8 millimetres in overall dimensions and somewhere around 250 grams in weight, making for a pretty slim and portable drive. Of course, the sleek design in and of itself doesn't make for a pretty convincing case but that's where the smooth contoured shape of the device comes in. 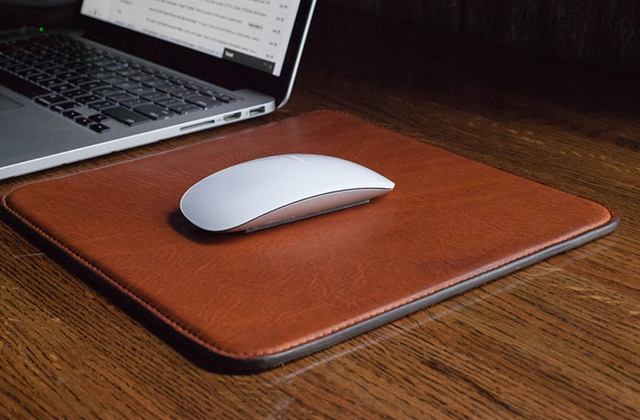 Though it might not seem like the biggest change, the shape is what allows you to fit this thing comfortably into the sleeve of just about any laptop bag or backpack. Honestly, we could've easily called the model in question one of the most durable external drives out there if it wasn't for the fact that the housing doesn't incorporate any kind of shockproof properties. It's not that much of an issue but it would be nice if you could afford to be less careful with this portable device. One thing that we haven't mentioned so far despite the fact that it is one of the most important factors here is the price. As of right now, the drive costs a smidge above 10 pounds, which is really impressive considering that, again, it does not really disappoint in any important category. Now, we've talked at great lengths about its design and portable qualities. But mostly because the model's performance is neither disappointing nor particularly outstanding. You get the usual reading and writing speeds, the usual Windows and MacOS support, as well as the usual USB 2.0 backwards compatible interface. That said, there are a couple of things worth mentioning here. One is the fact that you won't have to install any software nor does it require an external drive to work. Another is how it handles reading CDs and DVDs. The device doesn't require much in terms of power, it features a solid error-correcting ability. Plus, the anti-shock and noise reduction technologies make it a convenient and practical tool for your multimedia needs on the go. In other words, the iAmotus SL-131 is what you get when you don't want something in particular from your disk drive. For a very modest price, you'll be able to acquire a perfectly capable and convenient device, making this product a pretty safe investment. There's a certain charm to legacy technologies but, as much as some of us may not be ready to admit it yet, DVD and especially CD are the formats that have seen better days. Their glory days are certainly over but that doesn't mean that you should simply abandon your trusty discs and bury them in your backyard. A lot of people have a bunch of useful and important data stored on these discs. Some have a solid movie collection. And some simply like to revisit their favourite series every once in a while, without having to pay for Netflix or any other type of media service provider. Fortunately, you can do all of that and then some with a simple external CD drive, like the one from Ancees. All in all, this model is a bit of a mixed bag. We like it but it certainly has its flaws. It isn't a huge issue but the device weighs almost 350 grams, about a hundred grams more than your typical external drive. 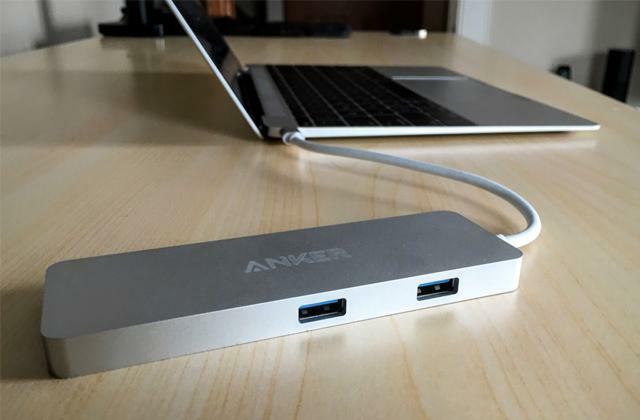 On the other hand, the model incorporates the USB 3.0 interface, the latest USB iteration that provides much faster data transfer rates (10 times the speed of the previous version). But if your laptop or PC does not have the same kind of interface, there's no need to worry as it is backwards compatible, so you can use it just as well with USB 2.0, just without the increase in speed and stability. Drives don't have to look good but a sleek device is always a plus. Despite the above average weight, the model in question is pretty compact, with a particularly thin 14-millimetre frame. The usual black tone doesn't really differentiate this product from any other similar device but the finish that incorporates sort of a mix between a striped and diamond pattern makes for a pretty interesting appearance, enough to make the model stand out from the otherwise bland crowd. Of course, the design aspect of a device like that isn't all about aesthetics. Though an attractive profile is always nice, functionality and practicality are usually far more important. Which is why the manufacturers have included an anti-skid pad that keeps the device in place and improves heat dissipation, so you won't have to worry about it overheating after a few hours of continuous use. 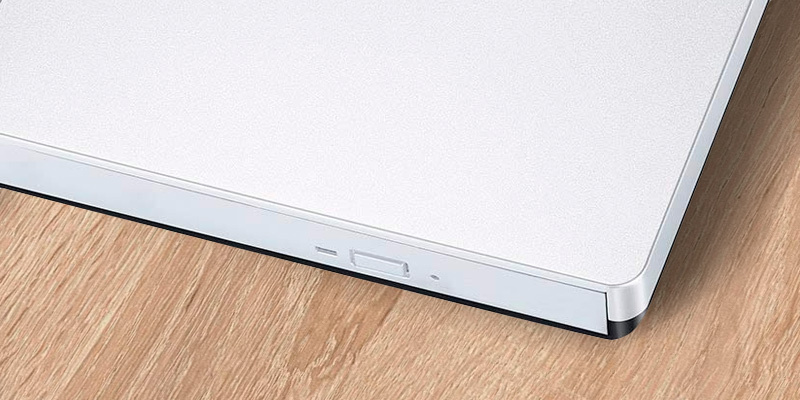 There's also a nice little compartment on the bottom of the drive where you can store the USB cable, making the drive a bit more ergonomically sound. Unfortunately, the cable itself is a tad short but about 23 centimetres of length should be enough for your standard everyday use. Performance-wise, the model doesn't require any software to operate, features your typical reading and writing speeds, and deals well with damaged discs. 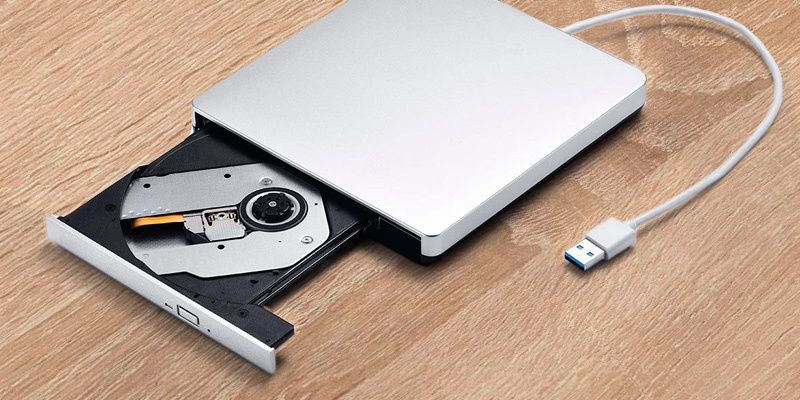 To sum it all up, the CD/DVD drive from Ancees has an interesting design from the aesthetics' point of view and a practical construction that makes it easier to use and transport. You can use to install software, revisit your old CD collection, back up data, or burn your precious memories into a CD or DVD format. Our age is the age of increasing performance capabilities and at the same time of minimising sizes for portable electronic devices. Every manufacturer strives to make their products smaller, and often it means sacrificing some features. 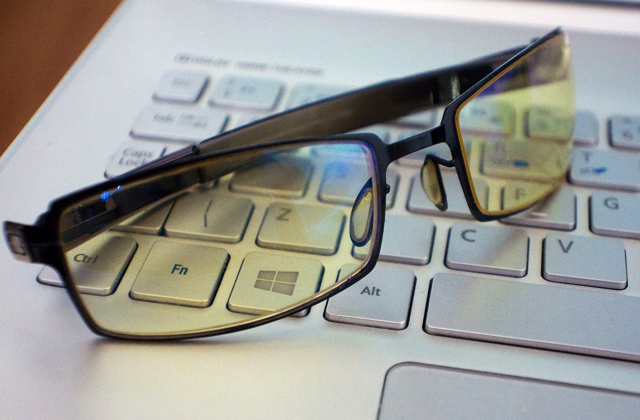 More and more laptops nowadays come without optical disc drives, and Ultrabooks are the whole class of devices that do not have this type of drive. But some people are not ready yet to give it up for USB drives and Cloud Storage. Several software products are released on optical discs only even today. The CD/DVD drives are on their way out, but there is still a necessity for them. 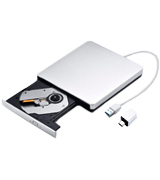 For this very reason, manufacturers come to release external CD/DVD drives to connect them to laptops and Ultrabooks. With an external DVD drive, you can always read, copy, or write (burn) an optical disc. 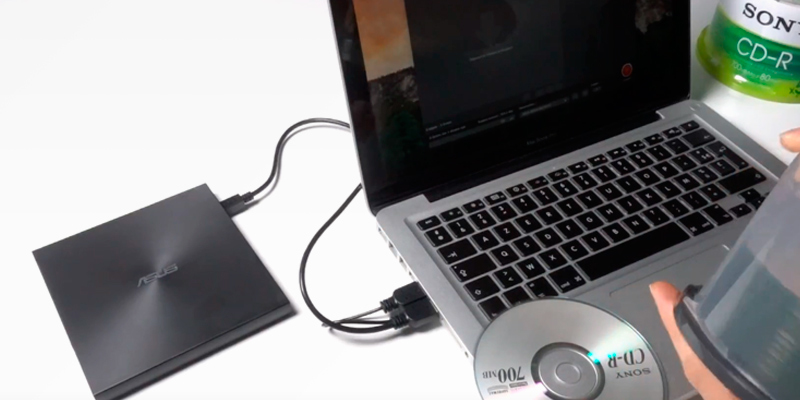 An external DVD drive easily connects to any computer with a USB 2.0 port or newer. 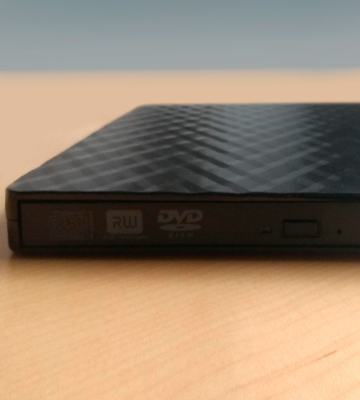 Even if the DVD drive of your personal computer has been broken, you can simply replace it with a USB external DVD drive. And with their small sizes and light weight, the external CD/DVD drives can be used anywhere and anytime. 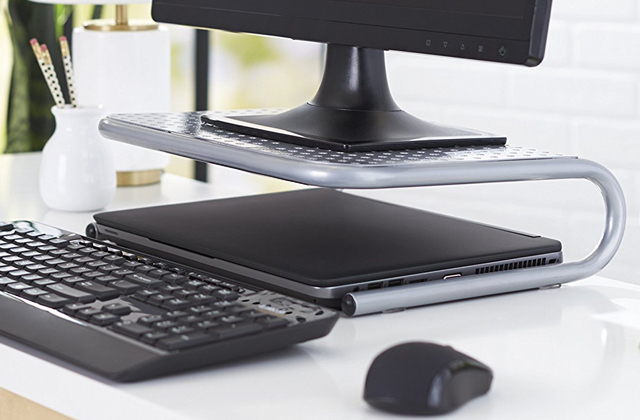 If your laptop has only one USB port and you prefer using the mouse (so, your USB external CD drive can’t be connected), then you need a USB hub for additional connections. The hub will multiply the number of your USB ports. And if you like the USB flash drives but need more storage space, then you will find it useful to look through external hard drives with their hundreds of Gigabytes of data right there in your pocket. By ways of using different technologies, these types of discs differ in the amount of data they can store. For example, you can write up to 700 MB of data on a CD disc, but on a DVD disc, you can store up to 4.7 GB, and Blu-ray is suitable for storing up to 50 GB of data. You should decide how much information you plan to burn on a disc. If it's just a small video or a few hundreds of photos, then a DVD drive is more than enough for you. These discs are very popular and widespread. And for high-quality and high-resolution video, backup copies of your operation system, or data storage Blu-ray discs will be more suitable. Large storage space of such discs will handle these tasks best. 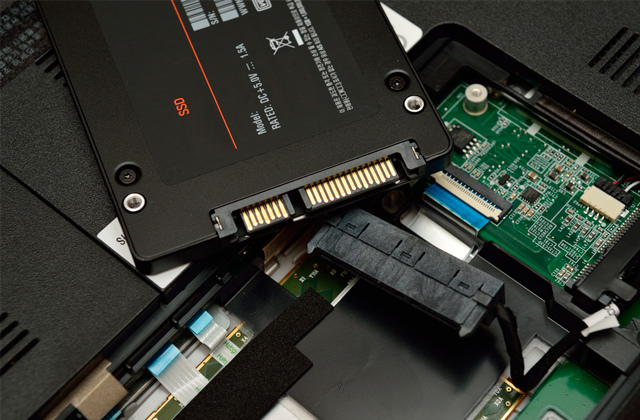 It stands to reason that different types of discs require different drive types with different technologies. When you purchase a DVD supporting device, you will be able to run both DVD and CD discs. But such drive will not read a Blu-ray disc. Choose a Blu-ray supporting drive, and any of the types we mentioned above will be accessible to you. Another important parameter for any external DVD drive's performance is its reading and writing speed. Manufacturers usually indicate it by numbers with an "x" letter. The "1x" speed of a DVD disc means 1.32 Megabytes per second, and for a Blu-ray disc, it is 4.5 Megabytes per second. What you see in reality is that an 8x DVD drive burns a whole disc in 7.5 minutes. A 6x Blu-ray will burn a standard disc in 15 minutes. The numbers are not unchangeable, the writing time depends on the file type and the quality of the disc itself. As your external CD/DVD drive is something that is often seen, its design also matters. The market offers a wide variety of external DVD drives, you will surely find the one that meets your preference. If you plan to carry the USB external DVD drive with you, be sure to note its size. When you choose the size right, it will allow you to put the device nicely in the pocket of your bag or pouch. And the light weight will make it so that you don't need to doubt whether you should take the external DVD drive with you or not. We get it, CD and DVD aren't even remotely the most effective data storage or transfer solutions. Again, like we've said a couple of times earlier, you could even go as far as to call these formats outdated. But we definitely aren't ready to call them obsolete just yet and, if you ask us, neither you should you. For starters, if you aren't talking about rewritable discs, CD and DVD are read-only formats, meaning that they make for pretty good archival formats. And this is just the usual CD and DVD. If you shift the conversation towards M-DISC, the technology that supposedly preserves your data for a thousand years, then it becomes a completely different discussion. Plus, even the most expensive drives don't really cost all that much, so we're not talking about some sort of a major investment here. So, hopefully, we have managed to successfully convince you to give the legacy technology another shot. But do you go for the external or the internal drive? Well, the short answer is external. Long answer - both of them have their advantages and disadvantages. 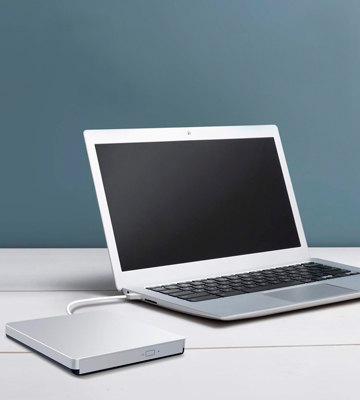 And while we believe that external drives are the clear winners here, we reckon it wouldn't hurt to talk about the good and the bad sides of these drives. This one is a bit of a no-brainer but, despite how obvious it is, we couldn't really omit by far the biggest upside to external drives. Yes, because they are, in fact, external and removable, you can bring these devices with you wherever you go. Your average external CD/DVD drive weighs no more than a few hundred grams and adds up to the sort of size that allows you to easily find some place for it in your laptop bag or a backpack. 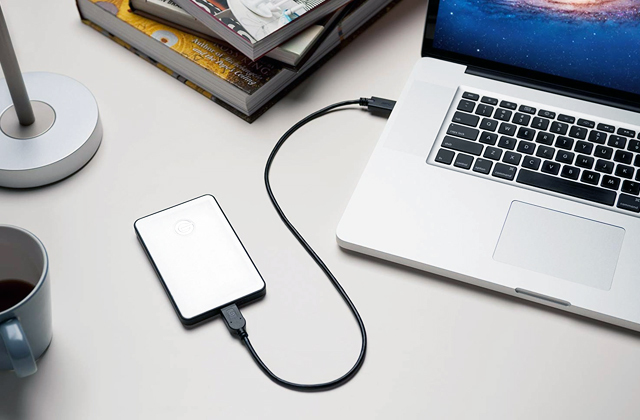 With modern laptops, more often than not, it really isn't a choice between external or internal drives. 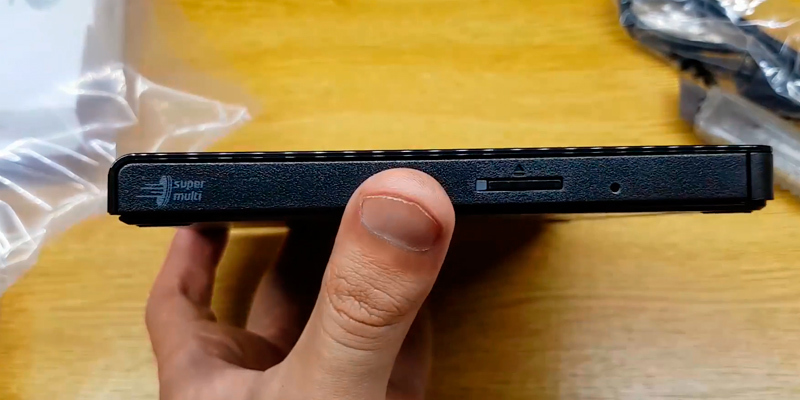 In an attempt to one-up each other trying to design the sleekest, most compact, and the lightest model, laptop manufacturers have been removing every seemingly unnecessary component bit by bit. And since CD and DVD formats have fallen out of customer's favour, removing the drive was an easy choice to make. Still, as we've said earlier, there are plenty of reasons to keep a CD/DVD drive around, which is why an external drive is often your only option if you happen to be in possession of a high-end laptop rather than a PC. One of the problems with internal drives is that they require a certain level of computer literacy on the user's part. You have to have at least some sort of an idea how to put a PC together, how to attach or disconnect one piece of hardware over the other, and where it all fits in. Plus, these internal devices often need drivers to work properly. The majority of external drives, on the other hand, do not require drivers or any kind of software to operate. You don't have to understand a thing about computers. You can just plug the USB cable into your laptop's/PC's USB interface and you're good to go. Of course, you can just as well unplug your drive and take it with you to work or a friend, something that, technically speaking, you can do with a regular CD/DVD drive, but it takes a lot more time, knowledge, and effort. So, with advantages out of the way, what are the downsides to external drives compared to their internal counterparts? Well, we'll keep it short and simple. First, they take away some of your workspace and clutter your desk. Second, they are slightly more expensive than internal ones. 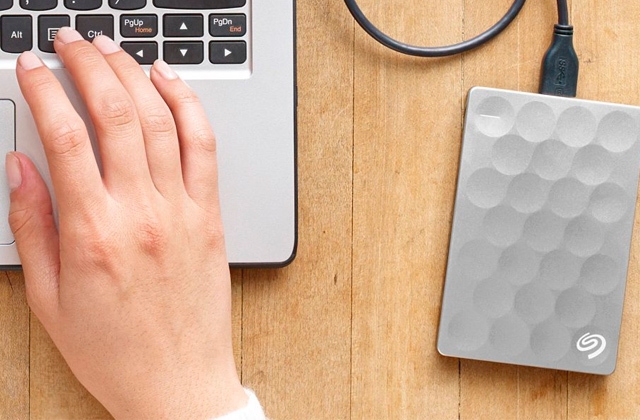 Finally, since you're far more likely to move an external drive around a lot, there's more of a chance that you'll damage it in the long run. 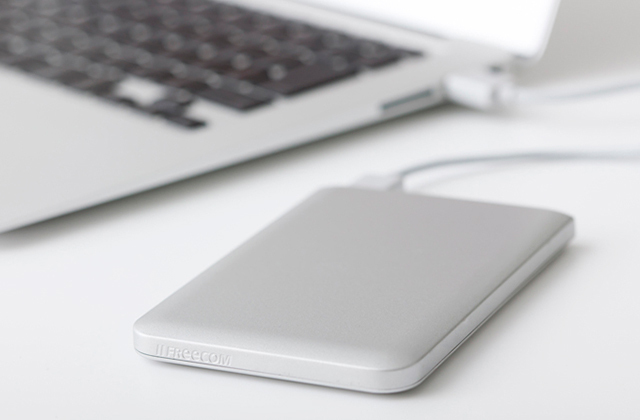 Having said all of that, we still believe external drives to be a better choice nine times out of 10. 1. Lincoln Spector Why you might still want an optical drive, PCWorld. January 8, 2015. 2. Whitson Gordon How to Survive Without a DVD Drive In Your Laptop, Lifehacker. June 28, 2012. 3. Shopping for Drives and Storage, BEST BUY. 4. Optical Drive Buying Guide, CCL. November 22, 2012. 5. Optical disc drive, Wikipedia. Last modified on December 17, 2016.